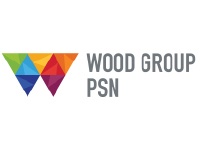 Wood Group PSN, a division of Wood Group, are the largest provider of brownfield services to the oil and gas industry. Our global network of over 30,000 people in more than 40 countries offers high integrity services that optimise the performance of facilities, maintain production, reduce operating costs, ensure asset integrity and extend the operating life of fields. At Wood Group PSN our ambition is to be the best production services company to work for, the best production services company to work with, and have a relentless focus on continuous improvement. To achieve this, we put our core values at the centre of all that we do; they are our guiding principles under which we operate.